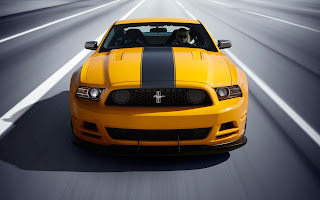 The new Shelby GT350R is the latest of the steerable track-based offerings from Ford. Based off the GT350 the new track ready version is 150 pounds lighter than its more road going sibling. Features like Air Conditioning and a radio have been deleted. In fact, any feature that did not improve the car’s performance around a racetrack was put on the chopping block for deletion. Other parts tossed onto the factory floor include the rear seats, backup camera, trunk floorboard and carpet, backup camera and the emergency tire inflator and tire sealant. Even the exhaust went under the knife as resonators were ditched giving the car a sharper exhaust note. The new Shelby GT350R is the latest of the streetable track-based offerings from Ford. Based off the GT350 the new track ready version is 150 pounds lighter than its more road going sibling. Features like Air Conditioning and a radio have been deleted. In fact, any feature that did not improve the car’s performance around a racetrack was put on the chopping block for deletion. Other parts tossed onto the factory floor include the rear seats, backup camera, trunk floorboard and carpet, and the emergency tire inflator and tire sealant. Even the exhaust went under the knife as resonators were ditched giving the car a sharper exhaust note.